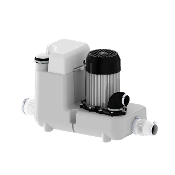 The Saniflo Sanicom 1 is a Heavy Duty/ Commercial Drain Pump designed for high demand situations such as commercial kitchens, barista stations or direct connected laundry machines. 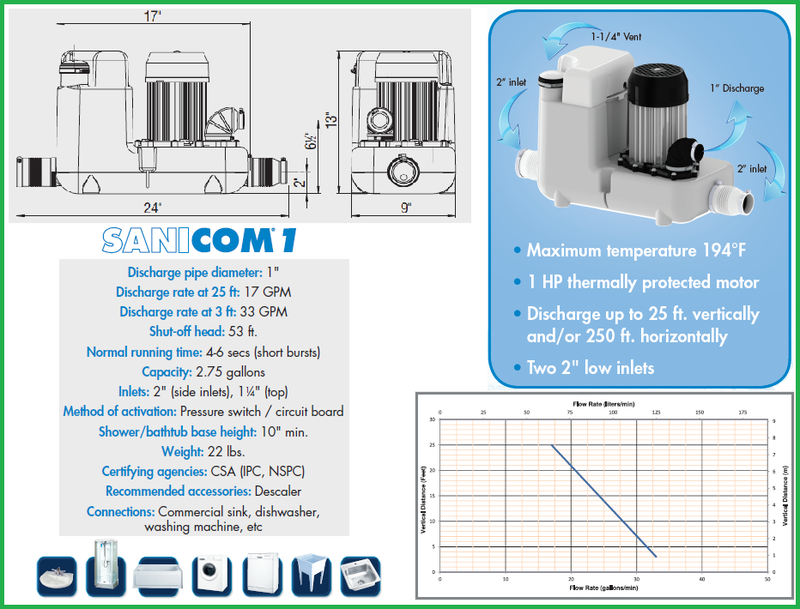 At the heart of the Sanicom 1 is a rock solid thermally protected 1 HP pump capable of pumping vertically to 25ft and/or horizontally to 250ft. The unit has two 2" drain inlets on the bottom of the chassis and discharges via a 1" discharge line on the top. A two way vent line is also required. 3 Year Warranty. We not only sell Saniflo, we use them in our own homes. See it in action!